Dr. De Las Casas is the Director of Cytopathology at the University of Rochester Medical Center. Prior to joining URMC in 2016, he held faculty appointments in the departments of pathology at the University of Wisconsin, University of Arkansas for Medical Sciences, Texas Tech University Health Science Center, and University of Toledo Medical Center. 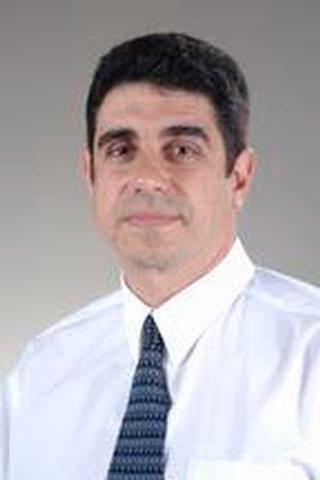 He is board-certified in anatomic and clinical pathology, as well as cytopathology. He has an excellent record of peer-reviewed publications, teaching, and professional activities that focus on integrating cytopathology and surgical pathology practices using a personalized multidisciplinary clinical approach. His diagnostic approach uses cytopathology as the first step in the pathologic diagnosis of tumors. Dr. De Las Casas has performed more than 800 ultrasound-guided fine-needle aspiration biopsies and has founded two different FNA clinics. He is dedicated to promoting and implementing the concept of interventional cytopathology both in his independent practice and as a consultant to referring clinicians. Sponsor: Society of Armed Forces Medical Laboratory Scientists Meeting. Li W, Molnar SL, Mott M, White E, De Las Casas LE. "Superficial CD34-positive fibroblastic tumor: Cytologic features, tissue correlation, ancillary studies, and differential diagnosis of a recently described soft tissue neoplasm." Diagnostic cytopathology.. 2016 Nov 0; 44(11):926-930. Epub 2016 Jul 19. Molnar SL, Zarka MA, De Las Casas LE. "Going beyond &quot;Basaloid neoplasm&quot;: Fine needle aspiration cytology of epithelial-myoepithelial carcinoma of the parotid gland." Diagnostic cytopathology.. 2016 May 0; 44(5):422-5. Epub 2016 Jan 22. Toumeh A, Sakhi R, Shah S, Arudra SK, De Las Casas LE, Skeel RT. "Ipilimumab-Induced Granulomatous Disease Occurring Simultaneously With Disease Progression in a Patient With Metastatic Melanoma." American journal of therapeutics.. 2016 23(4):e1068-71. Chapter Title: Technical considerations of EUS and EUS-FNA. Author List: Bardales RH, De Las Casas LE, Nawras A, Mallery JS. Chapter Title: Normal and abnormal placentation. Author List: De Las Casas LE, Bardales RH.